You shouldn’t try to stay alone today, Aries. Once in a while you need to spend some time alone to ponder your life, to dream and wish for better things to come. But today you could meet someone who will take you places you aren’t accustomed to going. Try to stay available in order to seize this opportunity. Today you’ve decided to change things around you, Taurus. You’re about to make radical changes to your life. You feel that you’re almost invulnerable, that nothing can resist you. You’re going to go beyond your boundaries even if it means that you might be forgetting your friends for a while. Your philanthropic side is fading. You’re used to thinking about others before thinking about yourself, but today, things are about to change. Indeed, you fascinate those around you. You’ve found a new freedom. It seems that you’re liberated from your old self and totally fulfilled. Today could provide an interesting opportunity to show your assets in a professional setting. People will be impressed by your personality and may even offer you a new job or exciting business proposal. You won’t be able to turn down the proposition and you will feel totally free and satisfied. Today you may have to commit to some values close to your heart, Libra. As a child, you were aware of the role you had to play in society. You were greatly concerned about others. Today you will probably be asking yourself if you should get involved and make decisions in the general interest. You may feel your life is full of uninteresting people. You think they’re all alike and fit perfectly within a conservative society. You don’t want to be like them and would prefer to meet unusual individuals, people who differ from the crowd. They aren’t too far away. You just need to make an effort to look for them. You might think you’re the most intelligent person in the world. You hover over the notions that bind us. You’re transformed into an artist who’s able to have great ideas. Remember that geniuses always think big. Today you’re one of them. Your ideas could help others. Everybody knows that you’re very strong willed. You’ve always had a very active disposition. You have the ability to surmount all obstacles and soak up all the energy that comes to your aid. It seems that today your strength could be reinforced by some people you meet or by your group of friends, Capricorn. 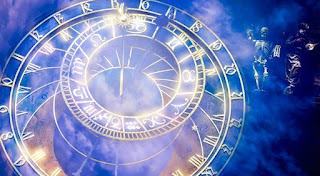 Even though you should watch your finances, you have a tendency to spend a lot of money, Aquarius. Happily, you have the opportunity to make a lot of profit. Your investments are solid, and you will soon benefit from them. Don’t spend your newfound wealth on frivolous things. You will fulfill your objectives if you’re vigilant. You often neglect your health and body. Your equilibrium suffers from this, Pisces. The time has come to consider a medical checkup just to be on the safe side. You love to discover new things. Your thirst for knowledge incites you to expend a lot of energy. Try to find the time to rest and relax. Avoid all unnecessary effort.